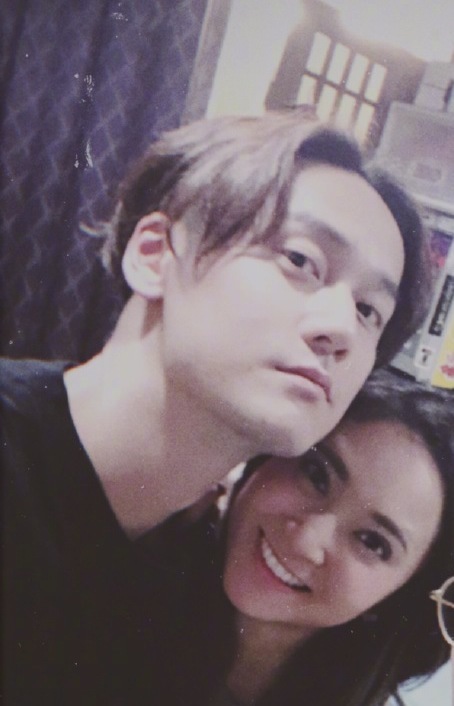 There have been reports since last month that Chinese actor Jiang Jinfu who moved to Japan to study abroad has broken up with his girlfriend. There were also rumors that he had gone missing since there had been no updates from him even as his new drama Royal Highness started airing this month. His girlfriend Haruka Nakaura broke her silence today to reveal photos of herself with several bruises. She writes, "Have let everyone worry lately, I, Haruka Nakaura am still here. Jiang Jinfu's disappearance does indeed have something to do with me, because of the lawyer's and investigators' requests, I'm sorry that I cannot say much." Shortly after, Jiang Jinfu updated his weibo, "This has been a month of repentance and regret. 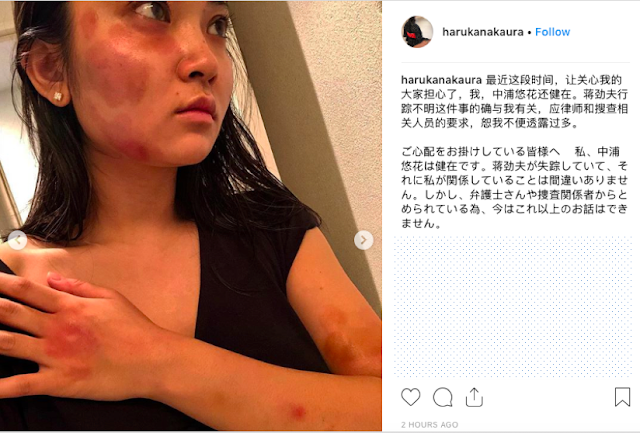 Sorry Haruka, my impulsive actions have hurt you and your family, no matter the reason, I shouldn't have raised my hand, I am ashamed of my actions, no excuses, I will take responsibility for the things I've done and accept punishment. Here, I sincerely apologize to everyone. Sorry dad and mom, sorry to my friends, sorry to those who have supported me, for failing you. Sorry." I hope there will be serious consequences for him - given this crime. I only give him credit for honestly accepting responsibility vs. denying and resorting to victim blaming etc. He has worked so hard over many years. His journey is slow but steady. Why did he damage it all by hitting a woman? Regardless how he wants to do it, he really should not have done so. Oh wow! I don't really know him but his career is pretty much gone now. It's just sad. What exactly happened for things to go to this extreme??? Even if she did cheated and faked pregnancy. Is it really a must to be this violence? He should of just left this awful person. Now he's the awful person. So not worth it! Now he's going to be known as the woman beater. Looking at the photos her buises are in such weird place and weird shapes Goodness I don't want to imagine what he did and how he did it. Yes pretty much a career and life changer now.